North Carolina metal garage kits. 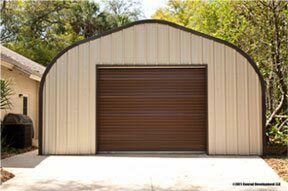 Metal garage kits and steel arch buildings custom manufactured for North Carolina. 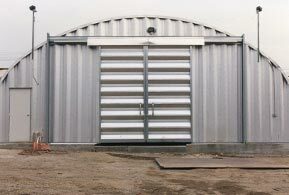 Metal Building Kings® North Carolina metal garage kits are custom designed and manufactured in our factory to specification outlined in NC manufactured building codes so that our blueprints arrive at your building site and are approved by your local building inspector. 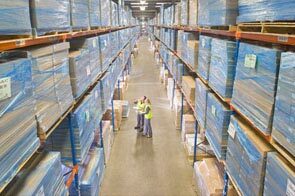 Our distribution centers located in Charlotte, Raleigh, Greensboro, Durham, Winston Salem, Fayetteville and Wilmington provide shipping of your metal garage kits to all 100 counties and 522 municipalities throughout the Tar Heel State. 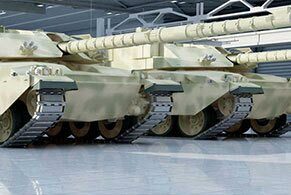 Custom design your NC garage kit for your aerospace, defense, automotive or trucking company according to the functions and amenities you need. 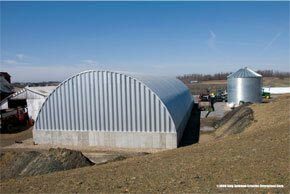 Our trucking clients in North Carolina have ordered custom Q model quonset hut style steel buildings over 100 feet wide and 200 feet long to stack fleets of semi tractor trailers inside. Overhead sprayers and washing units can be installed with floor drains. 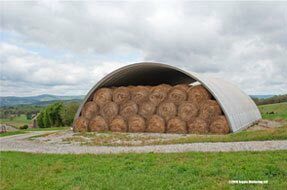 Warehousing is another popular use of a steel arch garage kit. 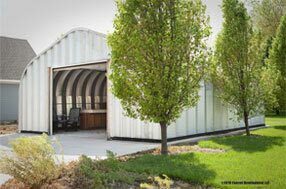 For homeowners, the A and P Models serve as a side garage and home add on used for storage and workshops. 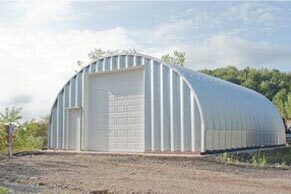 30’ x 90’ clear span garages in Greensboro and Randleman are used by NASCAR race teams for their security and solid structural design. 14 gauge 80,000ksi tensile yield carbon steel panels form the garage in 2 foot sections bolted down to a solid concrete foundation and lasts decades into the future. The paint colors which are AkzoNobel Ceram-A-Star® 1050 coating systems, a top manufacture of synthetic resins and paint finishes comes in 5 colors and guaranteed for 40 years. Install turbine vents for removing air from the building by creating an up draft which helps circulate the air in North Carolina’s humid summers. 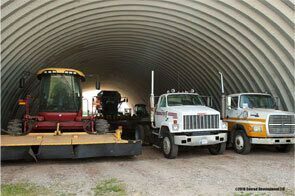 For garages that house large vehicles, and overhead bi-fold door is perfect. Heavy duty nylon lift straps 29,000 lbs tensile strength are used to operate the doors which come up to 48 feet wide by 14 feet high. 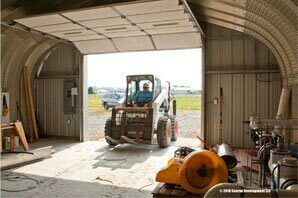 Insulated Polystyrene or Polyisocyanurate panels can be custom built into your garage design to keep the interior of your building a constant cool temperature. Although the air is cooler at higher elevations along the Cherohala Skyway and Blue Ridge skyway in Western North Carolina, the summer months at lower elevations like Wilmington can read over 00 degrees several days a year. So insulation in your garage kit is important not only in the summer but also the cold winters. 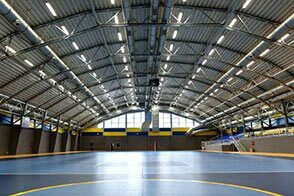 Wind velocity building codes and manufactured buildings codes in North Carolina are not only meet but far exceeded by our steel garage kits. A company cannot ship a modular building into the state unless it meets North Carolina's codes. 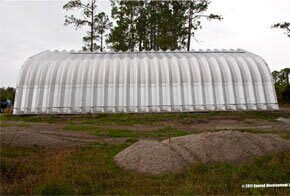 Although prefabricated and pre-engineered building codes are surprisingly insufficient in North Carolina, as only structures within 1,500 feet of the shore are required to have the 140-mph wind zone impact-tested structures many realize that the state of NC falls short of regulating safety and choose to protect their property with steel arch buildings and structures that will sustain high wind velocity.